There's really just one word for how I feel about the Zoya Magical PixieDust Collection. OBSESSED. There, I said it. And I'm not the only one! 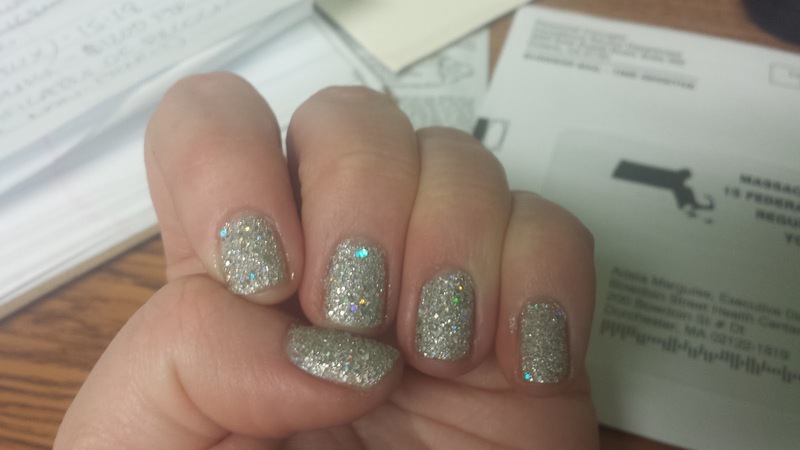 My best friend Katie sent me a picture of her manicure today in all its glistening glory ... and it's none other than Zoya Magical PixieDust Nail Polish in Cosmo. Just look at that polish shimmer, sparkle and shine! The silver crystal hue is made all the more fabulous with holographic mega hex glitter particles. I can't stop looking at the gorgeousness of Katie's nails! What's on your nails right now? And have you tried the Zoya Magical PixieDust Collection yet? Let me know in the comments!